National Inclusive Schools Week. December 3-7 2018. Does your student have a teacher or para who goes the extra mile to promote inclusion at your school? If so we would like to recognize them as an Inclusion Champion. 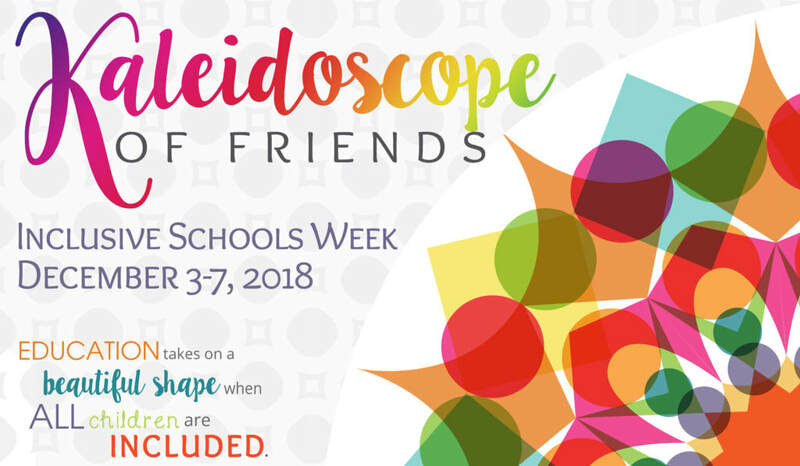 This recognition is intended for school staff who work to be sure your student is included with their typical peers in the classroom & other activities. This could include any school personnel who modifies regular ed curriculum or other activities so your student can be included with their peers throughout their school day. It can also involve staff who is willing to learn, listen, & act on suggestions, to make your school a more inclusive environment for your student. Hit submit then complete the form again to nominate another teacher. ​Please limit your nominations to 2-3 teachers per student.